Each emitted pulse is reflected by the surface and is returned to the altimeter a few milliseconds later. As the illuminated area grows, the return signal strength grows rapidly until an annulus is formed. 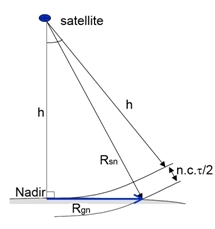 It then remains constant until the growing annulus (or ring) reaches the edge of the radar antenna beam, and then starts to diminish. 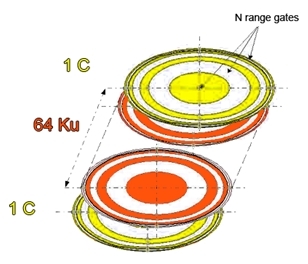 The signal acquired by the altimeter at each Ku-band burst is initially the same as in LRM. 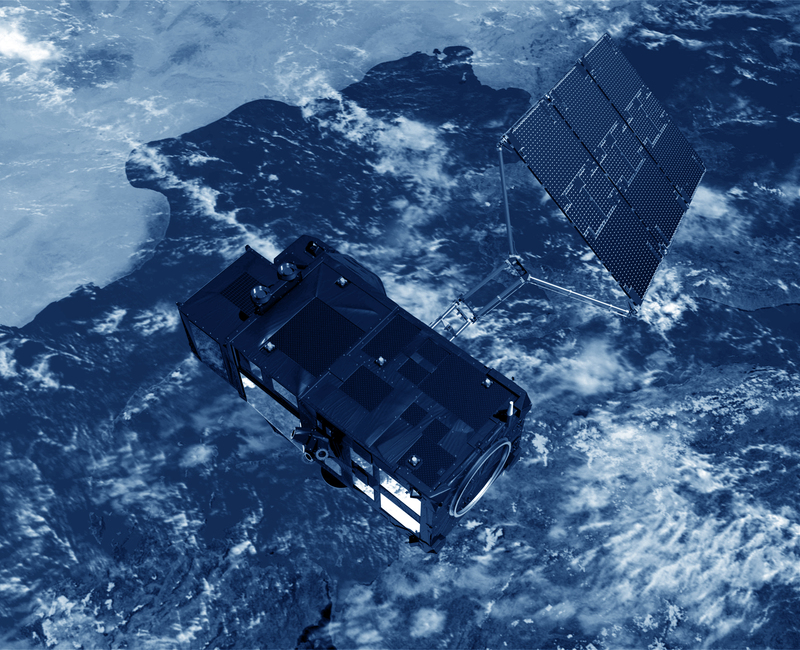 It is made up of a series of 64 elementary range measurements that correspond to ground resolution cells (i.e. 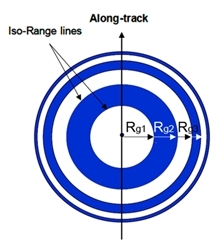 concentric rings). The main difference, between LRM and SAR mode, is that the radar pulses of the same burst are correlated. The Pulse Repetition Frequency (PRF) and the altimeter phase coherence from pulse to pulse are key factors in the synthetic aperture process (i.e. 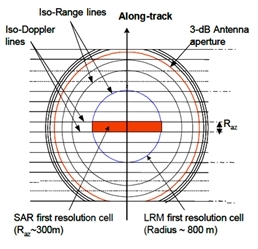 the SAR process) to discriminate the along-track Doppler frequencies and to be able to have the reduced resolution cells. Depending on the mission, the along and across track resolutions can vary.